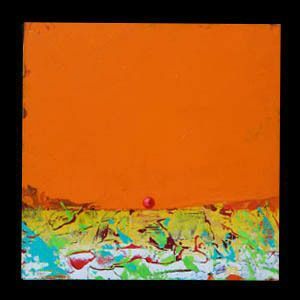 Sherry Sweet Tewell is a mixed media artist who employs abstraction in a particularly allusive postmodern manner to create works that are brilliantly colorful and accessible, despite their often non-objective compositions. "I'm inspired by the intensity of light and color that is so abundant in the Florida Keys and the Emerald Coast. It permeates not only my paintings and murals, but also my textile designs, book illustrations, and other items of applied art that I create in my desire to survive by art alone and apply my talents liberally." Affectionately known as "Sweet T", Sherry is nationally acclaimed for her children's book "Cosmo The Boat Cat" and her numerous large scale commercial and residential mural projects. Currently, she is working on "Art in Public Places" mural project in Key West to be completed summer 2018. Sherry also creates a line of women's apparel and home decor labeled "Sweet T" designs. 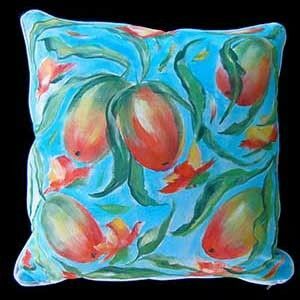 In partnership with Vida Designs, her paintings are reproduced onto fabrics through sublimation printing and made into products sold online through shopvida.com. A percentage of each product sold goes to support literacy programs in the village where they are made. A graduate from Western Kentucky University with a Bachelor of Fine Arts/Commercial Art degree she has been working for thirty plus years as an artist with numerous gallery shows in Florida and New York City. Most notably, ArtSpectrum Miami, The Studios of Key West, ArtExpo New York, Agora Gallery Chelsea New York, Ward-Nasse Gallery SoHo New York. 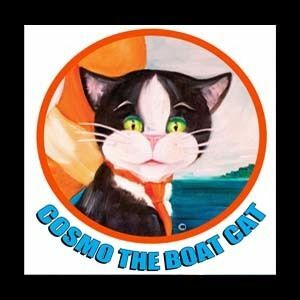 Children's Book "Cosmo The Boat Cat"